What Do Kindergarten Assessment Tests Involve? Kindergarten teachers read aloud to students to improve their listening and comprehension skills. 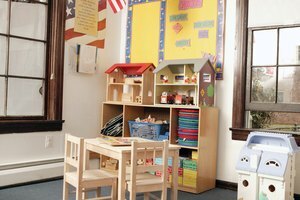 When your child begins kindergarten, the teacher will introduce many new concepts and help him master a variety of skills. These skills are foundational for helping your child become a successful student throughout school. Most states have adopted the Common Core, a national standards initiative for implementation in their school districts. Standards for the kindergarten language arts curricula in the 45 states that have adopted the Common Core are speaking and listening, reading and writing. Within these four standards are many skills that have been identified as being most beneficial for helping kindergarten students understand the process of reading, concepts of print, vocabulary and written and spoken expression. 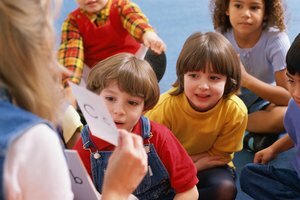 Listening skills will be a primary focus of your child's kindergarten teacher from the first day of school. Your child has to become accustomed to listening to his teacher and classmates. 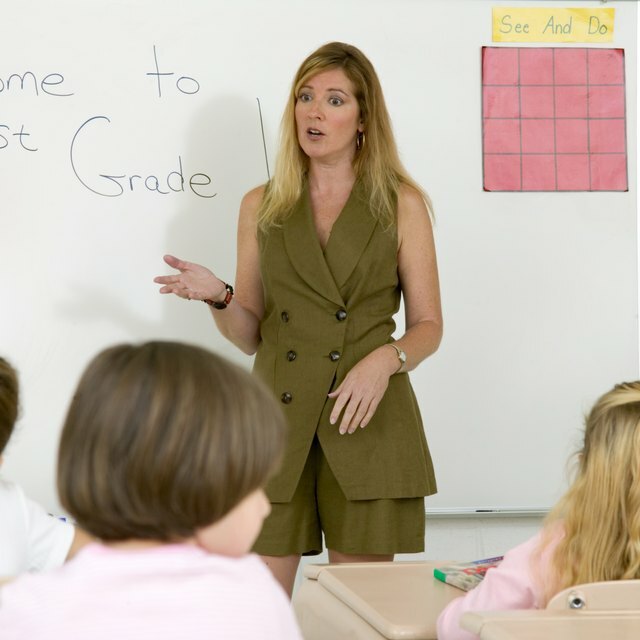 The teacher will read aloud to the class often and ask many questions as a way of assessing students' listening ability. Your child will also participate in small group activities that require everyone to listen to others' ideas. Many students enter kindergarten with limited vocabularies. Your child's teacher will work with her to develop her speaking skills by talking to her often, asking questions and prompting her to talk about subjects that interest her. Teachers want their students to leave kindergarten with the ability to speak in complete sentences with clarity. Reading skills are at the forefront of the kindergarten language arts curriculum. Even if your child enters kindergarten knowing letters and sounds, he still has to learn how to decode words, recognize sight words and comprehend what he reads. Although he may not master some of these skills until first grade, the foundation for his reading ability is established in kindergarten. 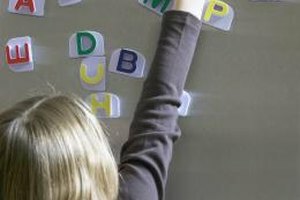 Teachers use phonics as the main method of instruction. 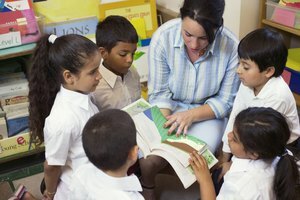 The National Reading Panel, commissioned by Congress to research various instructional approaches, found that phonics is the most effective method for teaching children that each letter of the alphabet has a corresponding sound and that they can decode words by blending these sounds together. At the beginning of the kindergarten year, your child may draw or scribble to express written ideas. She may know how to write her name, but the teacher will help her progress until she can write a complete sentence with correct punctuation. Your child will also begin to understand that there are different reasons for writing, exposing her to various texts including fiction, nonfiction and poems. What Will My Child Be Tested for on the DSC Checklist? Hollowell, Karen. "Language Arts Skills Learned in Kindergarten." Synonym, https://classroom.synonym.com/language-arts-skills-learned-kindergarten-5134.html. 26 September 2017.